Powered by a T5800 2.0GHz CPU and packed with 3GB RAM, a 250GB HDD and a 512MB NVidia GeForce 9200M GS, the Samsung R610 is slightly underwhelming on paper. Testing, as it turns out, confirms this – it performs reasonably well, but certainly at or below average for most things when compared to other 16” notebooks. Why, then, did we actually enjoy using the R610? It runs cooly, quietly, and was impressively mobile for its form factor. For light usage, it’s not a whit slower than any other machines, and looks good enough to be proud of in the office or in the coffeeshop. And the kicker is that you can find these online for $800 and change. It doesn’t really have the guts to satisfy the heavy gamer, and if you like to encode (or even watch) HD video you’ll be left a little disappointed. But the dedicated GPU opens the door for light to moderate gaming. The Samsung R610 at first sounds like a great deal: For around 900 dollars (list), you're getting a huge screen and dedicated video capability with a reasonably attractive exterior. Unfortunately, the screen quality greatly erodes that value proposition. Still, if your bank account can handle a little more strain (for an upgraded display), the R610 could be worth a second look. After all, it costs less than the likes of Dell's XPS Studio 16 and HP's HDX16. 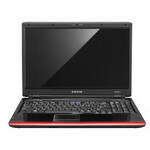 Priced at around £660, the Samsung R610 is one of the cheapest available laptops with a Blu-ray drive. The question is: has Samsung had to compromise on the rest of the spec to fit in that headline-grabbing feature? Although the Samsung R610 has a reasonable price tag, it falls between two stools. Despite the Blu-ray drive, it's not sufficiently feature-rich to tempt those after an entertainment laptop, and it's too expensive for those seeking a budget machine. In our opinion, you'd be better off looking at other models in Samsung's R series, such as the R710 and R560. 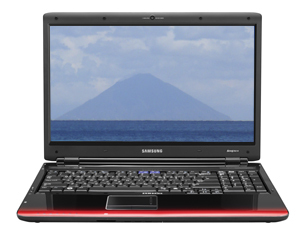 While not the most powerful laptop, the full-HD power, usability and low price of the Samsung R610 make it a great buy. For the price, you'd be hard-pressed to ﬁnd yourself a better laptop. The Samsung R610 is, by far, one of the lightest and most portable 16-inch notebooks we’ve tested. It’s also one of the most attractive. However, when we look at the reasons for buying a 16-inch notebook over something more portable—multimedia playback, increased productivity, or gaming—this machine just doesn’t stand out. When it comes to multimedia, the R610 combines mediocre image and sound quality, with the absence of media controls. If you’re looking for a 16-inch multimedia system, competitors such as the Acer Aspire 6930G offer more features—such as a Blu-ray drive and discrete graphics—for the same price. 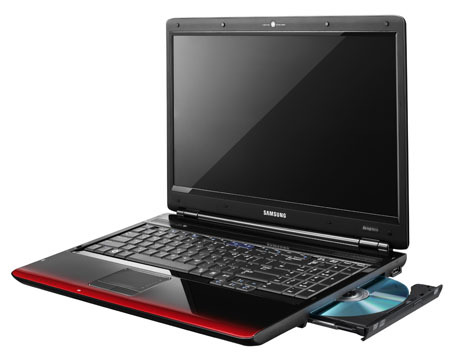 Samsung's R610 laptop was announced to enter the market with a Blu-ray drive, but their first model R610-64G is a much more affordable model that uses a traditonal DVD burner instead. Overall, it is probably one of the thinnest and lightest of the 16-inch laptop computers. It is much closer to a 15.4-inch laptop in dimensions. 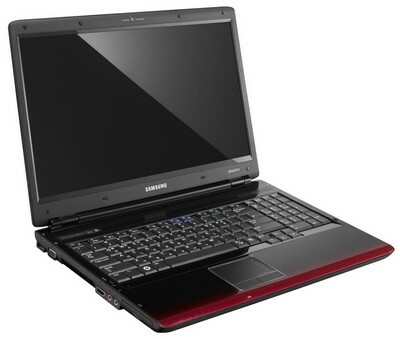 Performance is adequate but the system has very limited 3D graphics performance and is missing peripheral connectors found on many competing laptops. A decent general purpose computer with a large display but there are better options.